A New Year’s Resolution for the Planet | whitespace. How can we on Earth consume more wholesome food (clean fuel) instead of donuts (greenhouse gas-emitting fuel) so we can feel well and healthy consistently? 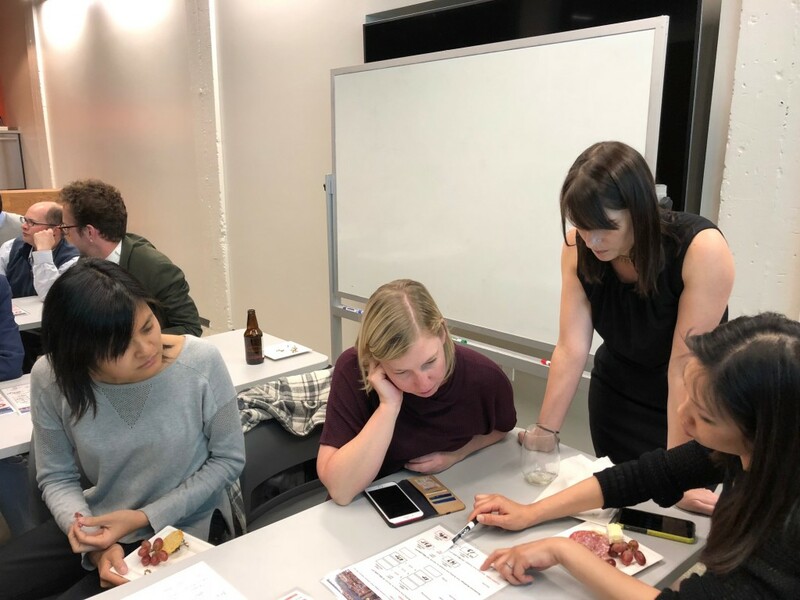 This question was posed at the start of the “Solar in the City” workshop, which was organized by the AIASF Committee on the Environment (COTE) and hosted in our San Francisco studio late last year. Through the course of the workshop, six groups engaged in an intense interactive competition with the goal of reducing building carbon emissions at the city scale. My post about the workshop on the AIA SF blog details the experience. About the same time that the workshop was happening, we were busy on a large elementary school project design effort which officially kicked off in early 2018. Inspired by the goals of the workshop, we collaborated with our engineering team, Interface Engineering, to set an EUI goal of 22.9 kBTU/sq ft for the project. We also set aside a substantial portion of the roof area for a potential future installation of 733 PV panels. 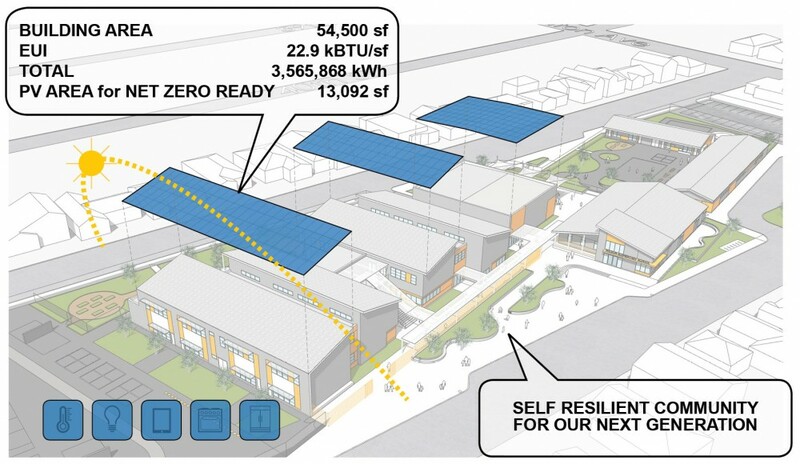 The “Solar in the City” workshop inspired Gould Evans designers to set an EUI goal of 22.9 kBTU/sq ft for the above elementary school (Image credit: Gould Evans). Check back for more information about the progress of the design!